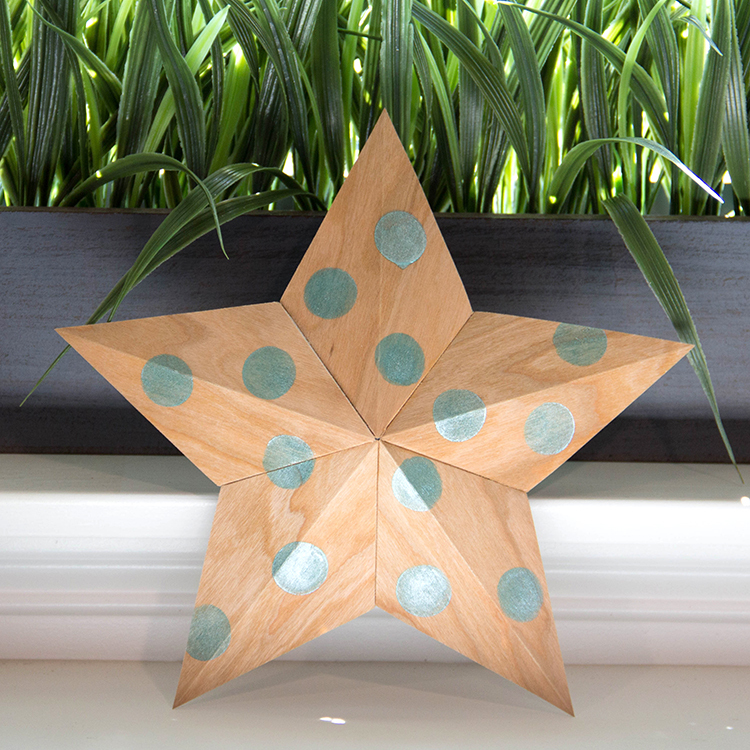 Wood Paper Stars Shine bright with Lumiere! This week we have the great opportunity to play with a few Jacquard Products on our Wood paper. Jacquard Products is a leading manufacturer of artist materials, all manufactured in California, perfect for professional artists & craftspeople, home crafters, do-it-yourselfers, kids & hobbyists. We love products made in the U.S.A! All of our Wood Paper products are manufactured and packaged in the U.S.A. Previously we have used Jacquard SolarFast with our Wood paper and achieved amazing results. You can see those shadowprint samples here. 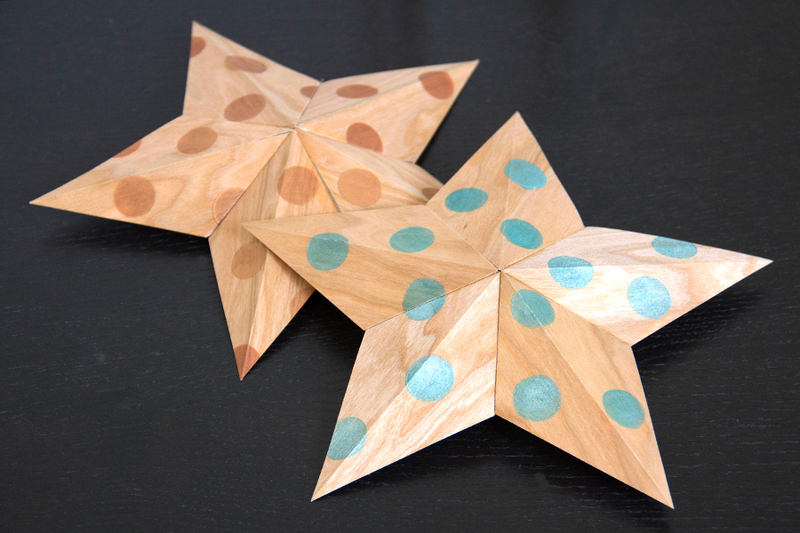 Today we are excited to show you these stunning Wood paper stars using Lumiere to paint accents onto the wood. There are many colors and options of Lumiere. We used the Lumiere Mini Exciter Pack. It includes fabulous Metallic shades perfect for achieving these shiny dots. 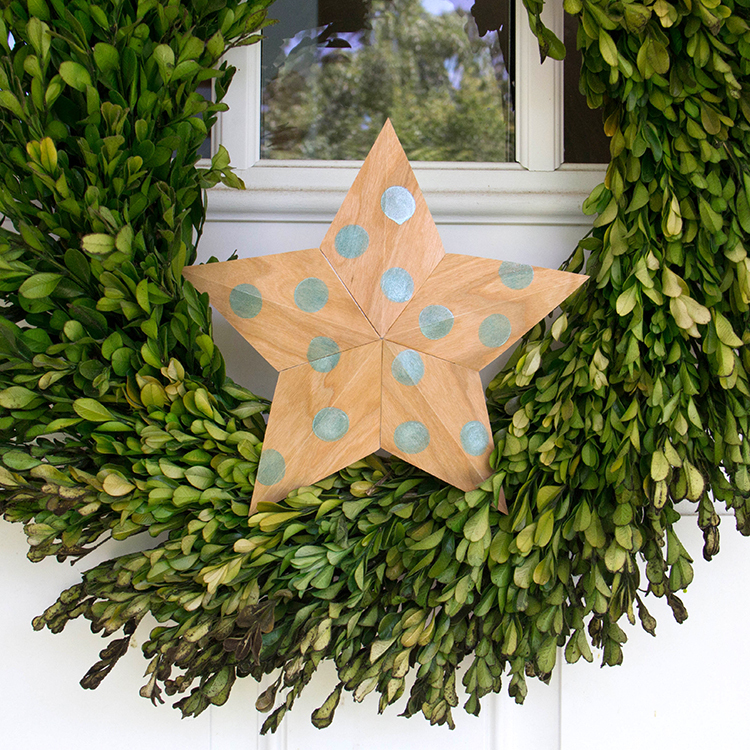 These stars make a stunning wood home decor that will last for years to come. Lumiere is a versatile, top quality, metallic acrylic paint. Lumiere has fabric binders in it which are stronger and more flexible than those found in artist acrylics. That makes Lumiere useful on many different surfaces from fabric, wood, paper, and even some plastics. Lumiere does not crack, so it is perfect for flexible surfaces like leather. Truly opaque for great coverage, Lumiere is great for coverage. It comes in 32 metallic and pearlescent colors that are great for any project you want to stand out. Lumiere self-cures in 72 hrs making it very tough even for outdoors applications. 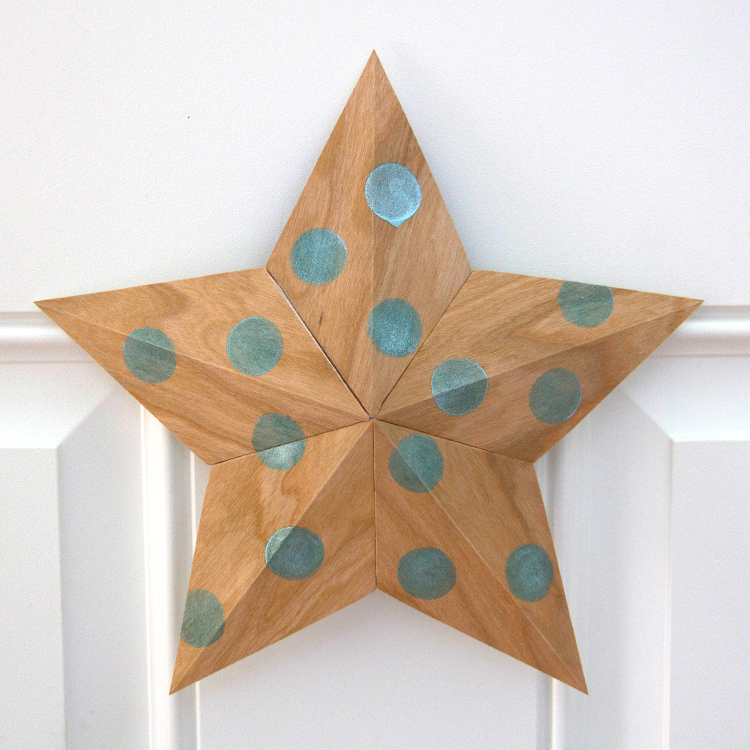 Supplies for 3D Cherry Wood paper stars: Cherry Wood paper, Lumiere Pearlescent Turquoise and Metallic Bronze, star die, Big Shot die cutting machine, polka dot stencil, sponge dauber and adhesive. Note: Check out You Tube for some tutorials on how to make a 3D star. Remember our Wood paper functions like paper! Show us what you can make. 1. 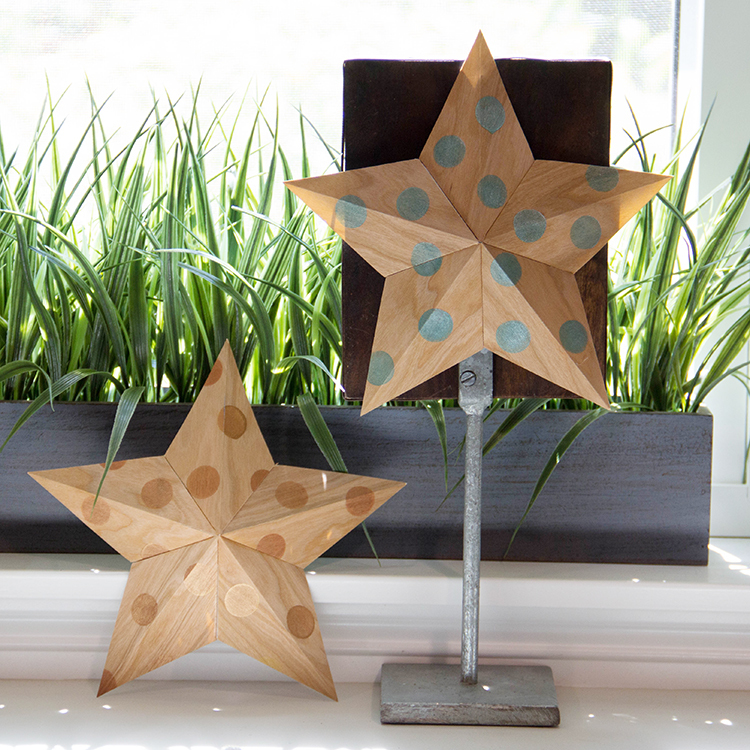 Die cut five 3D star points from Cherry Wood paper. 2. Create a polka dot stencil. We created a simple polka dot stencil using a heavy sheet of card stock and a 1/2″ circle punch. 3. 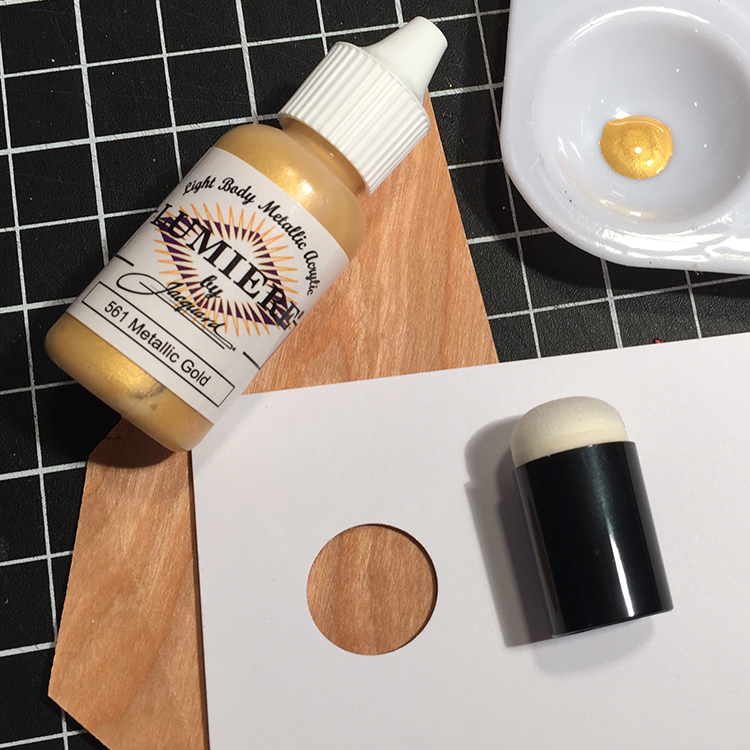 Apply Lumiere color of choice to Cherry Wood paper using a sponge dauber. We used Lumiere Pearlescent Turquoise and Metallic Bronze. 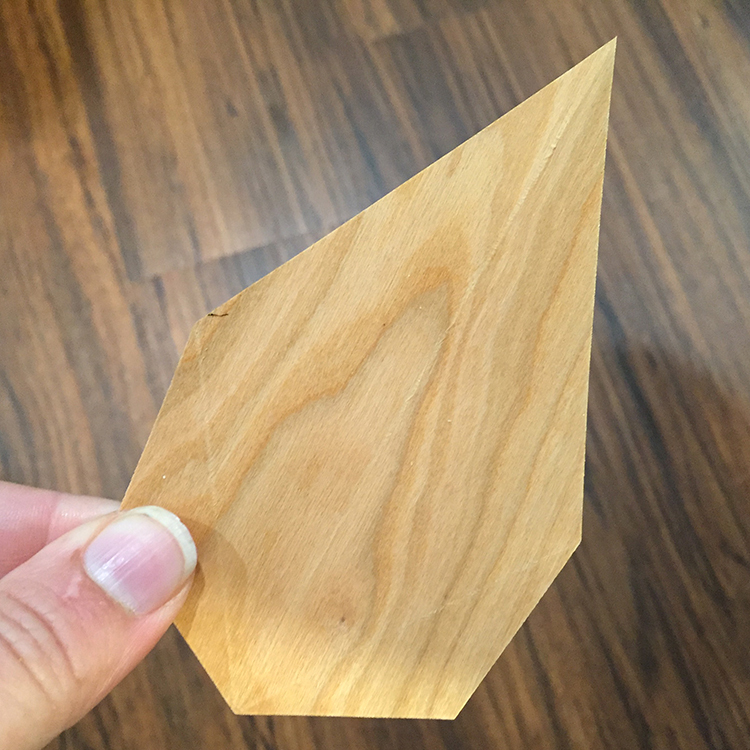 Test the colors of Lumiere on a scrap piece of Wood paper first so you achieve the color results you like the first time around. We started with Metallic Gold Lumiere and decided we wanted more color contrast against our Cherry Wood paper, Metallic Bronze was the ticket! 4. 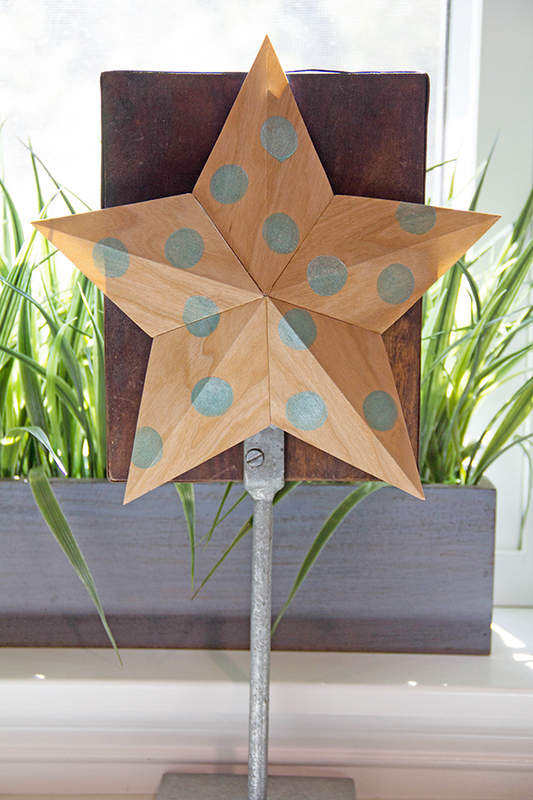 Fold creases of each star point and then assemble star with a heavy duty adhesive. 5. Repeat steps for multiple stars. 6. Display. These are so fun to make and spruce up any standard decor. 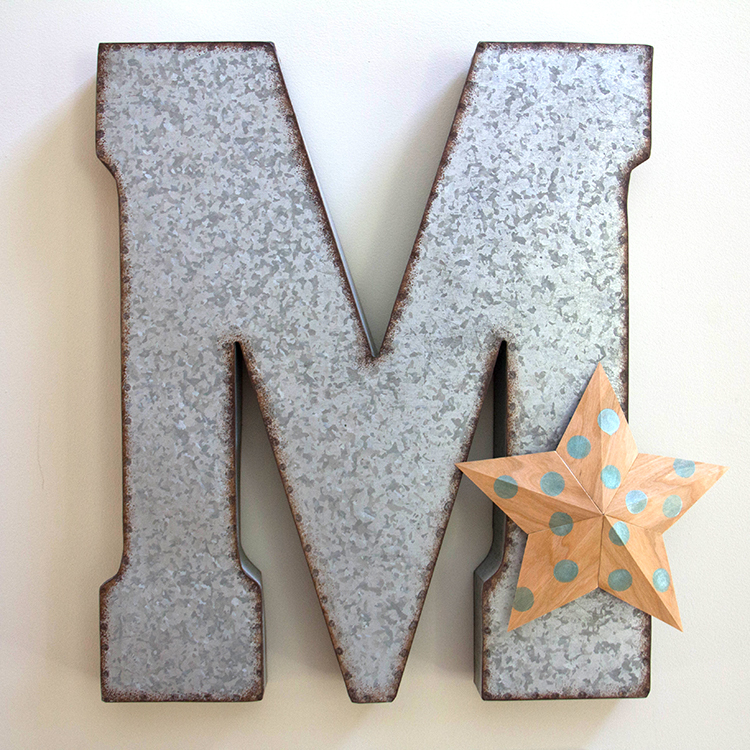 Attach them to an outdoor wreath, or hang on a large monogram letter, or simply adhere to the wall for party decor. Be sure to check out Jacquard Products and get familiar with all the amazing products they offer. Follow them on their various social media for tons of excellent inspiration, videos and tutorials. Stop back here later this week to see what we created with Jacquard Products Pinata Alcohol inks. This entry was posted in Crafts & Kits, DIY Projects and tagged 3D, birch, Lumiere, pearlescent, stars.